Find the area of an equilateral triangle when one of its sides equals 4. All sides of an equilateral triangle are equal, so all sides of this triangle equal 4. 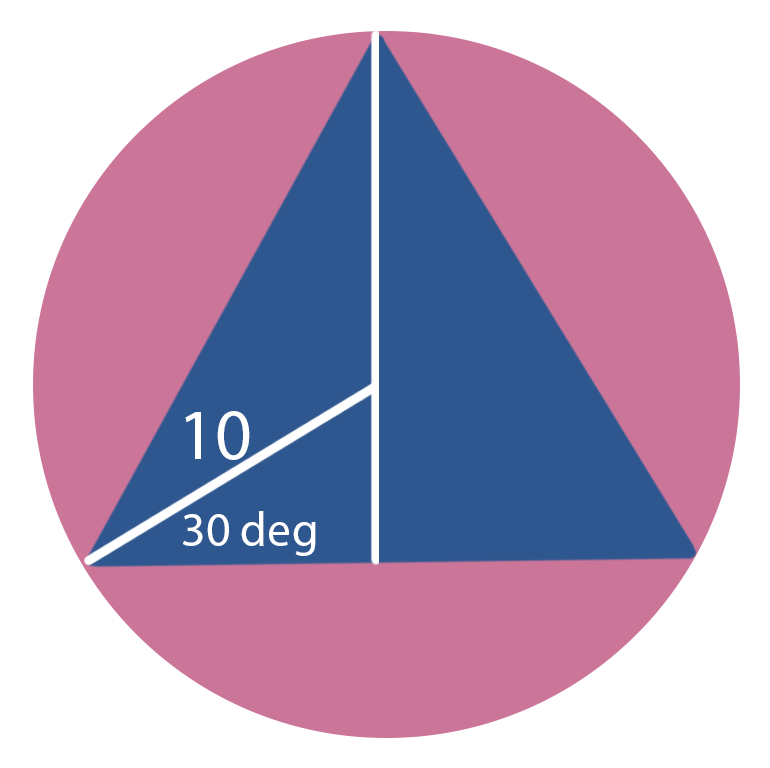 Area = 1/2 base * height, so we need to calculate the height: this is easy for an equilateral triangle, since you can bisect any such triangle into two identical 30:60:90 triangles. The ratio of lengths of a 30:60:90 triangle is 1:2:√3. The side of the equilateral triangle is 4, and we divided the base in half when we bisected the triangle, so that give us a length of 2, so our triangle must have sides of 2, 4, and 2√3; thus we have our height. One of our 30:60:90 triangles will have a base of 2 and a height of 2√3. Half the base is 1, so 1 * 2√3 = 2√3. We have two of these triangles, since we divided the original triangle, so the total area is 2 * 2√3 = 4√3. You can also solve for the area of any equilateral triangle by applying the formula (s2√3)/4, where s = the length of any side. 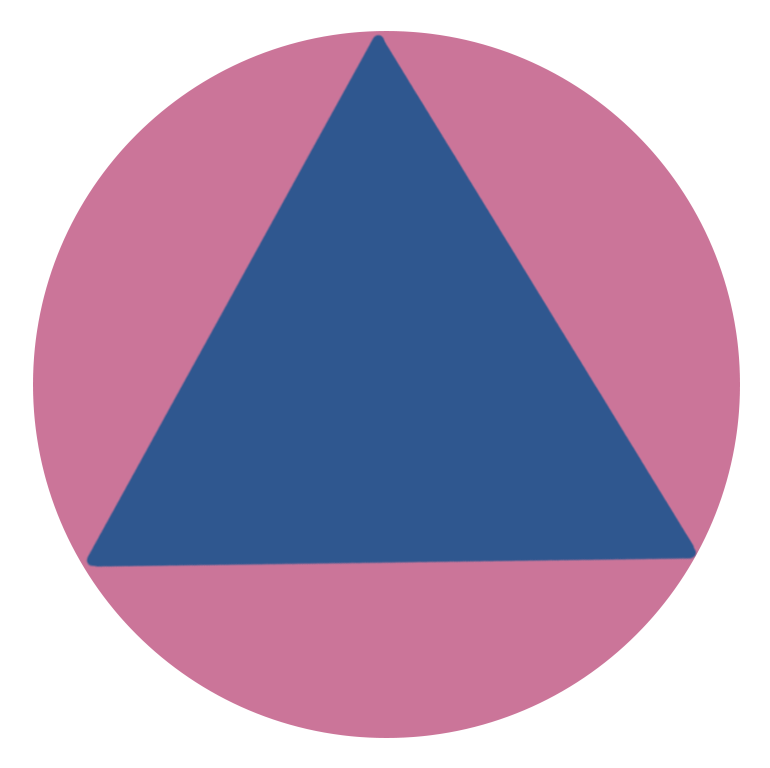 What is the area of an equilateral triangle with a base of ? An equilateral triangle is inscribed into a circle of radius 10. What is the area of the triangle? The answer cannot be determined from the information given.